Welcome to the Friends' Association section. 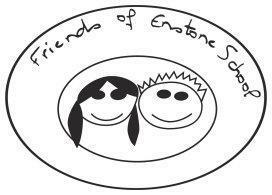 All parents are "Friends of Enstone School"
As a group the Friends organise a number of events throughout the year and raise a significant amount of money for the benefit of the children in school. In recent years they have paid for the installation of a tyre park in the school playground, funded a new set of 15 netbooks for use in class, bought new cameras for every class, bought a set of I-pads, bought books for the class and school libraries, bought a range of playground games and games for indoor playtimes, bought a set of 8 microscopes and made a substantial contribution to the refurbishment of the school hall and kitchen. They regularly fund the cost of coaches for trips and support curriculum weeks by contributing to the cost of workshops. Their support is invaluable and much appreciated by the staff and children alike.